The best wifi names don’t always jump immediately to mind when faced with the challenge. It takes a bit of time to consider the perfect selection. But, we’ve made it easier for you with our lists of naming options. You are the weakest linkys! Click on graphic above for clever wifi names. Have You Stopped Beating Your Wifi? One Way or a Wifi. 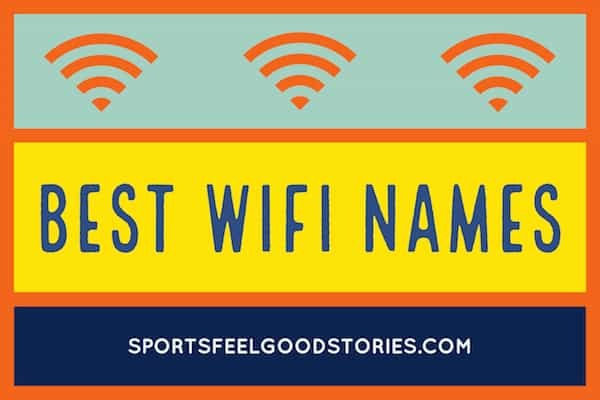 Click on graphic above for some more funny wifi names. Click on visual above for more good wifi names. 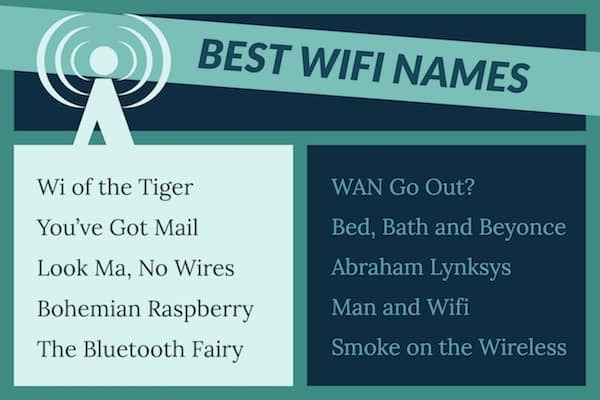 What makes the best wifi names? Is it appropriate for all audiences? How easy is the name to say? Is the name memorable? You want the name to quickly jump to the top of your mind when friends ask. How does the selection look in writing? Does the name resonate with you? What will your neighbors think? In addition to you and your guests, this is the audience that will be seeing your choice. You’re on Best Wifi Names page.